Quit goofing around on the internet. 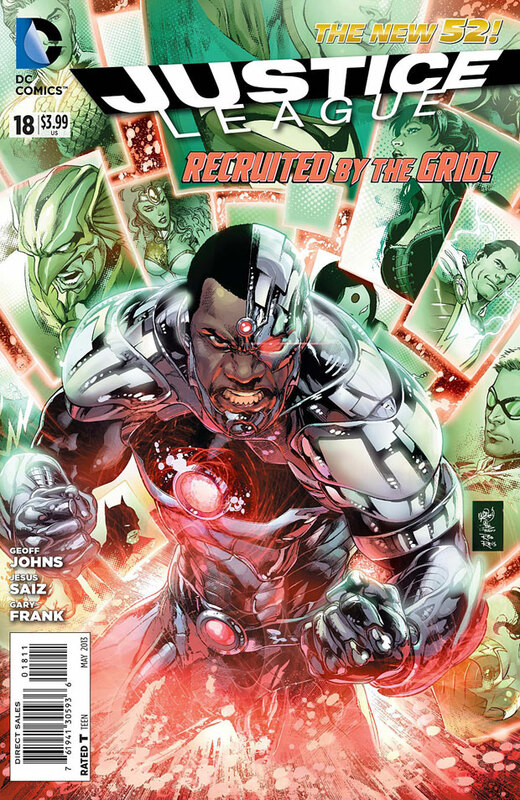 Go read Justice League #18 in stores today! Firestorm definitely turns up in this issue, so it’s must-have! Written by Geoff Johns with art by Jesus Saiz and Gary Frank! Looks like the Justice League is selecting their new members! Let’s hope the Nuclear Man is dressed for success! If you can’t get to the comic shop right now (what’s wrong with you?!?! ), then head over to Comic Book Resources to check out the four page preview! Below are a couple pages from the preview. Be sure to visit Comic Book Resources to see all four preview pages! Did you notice Blue Devil?!?!?! Firestorm and Blue Devil on the Justice League together?!?! That might just be too much for me to handle!!!!! My thanks to fellow Match-head Eric Sellers for directing me to this preview on Comic Book Resources. Be sure to pick up a copy and revel in the Nuclear Man goodness! Leave your comments here! PS: Don’t forget, come back here later this week for an interview with Pat Broderick, the fan-favorite artist who launched The Fury of Firestorm: The Nuclear Man back in 1982! I can’t wait to get this issue. Wasn’t so impressed with JUSTICE LEAGUE from the start, but this looks great. 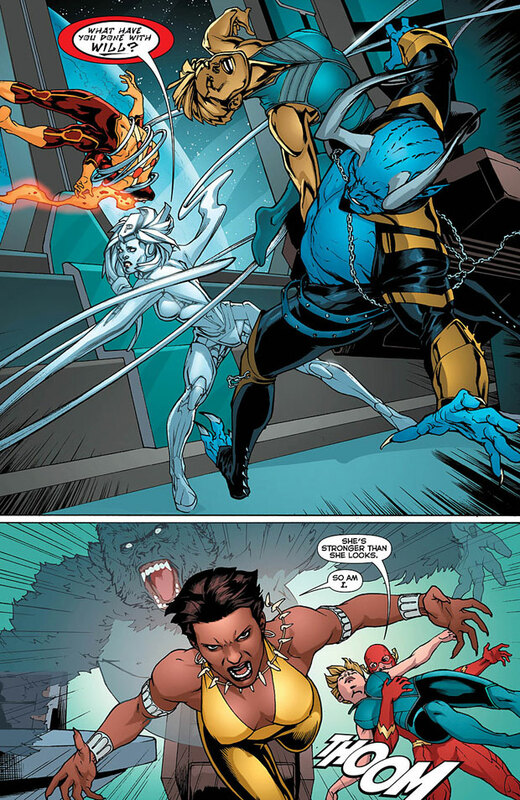 Blue Devil, Vixen, and Firestorm – excellent. Great art ..very nice to see. so good so good so good!!!!! !firestorm is back where he belongs!! Hey Shag! Did you catch the name of the girl Jason wanted to meet at the science fair (from page 1)? Awesome stuff. 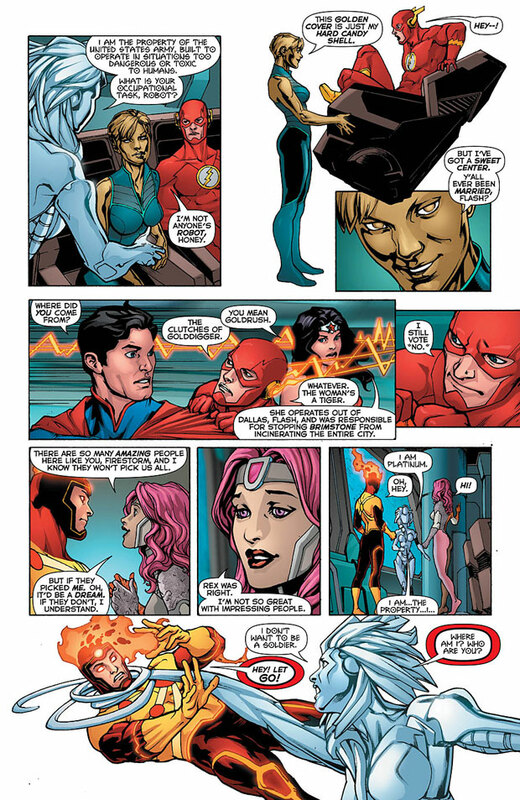 I hope Johns is laying the groundwork for a Firestorm rogue to grace the JL pages in the near future. @Charlemagne – I can’t help wonder if he’s laying ground work, or if he’s just throwing a bone to us long-time Match-heads. I still stand by my previous suggest… Bug & Byte would work in the modern era as: Malware and Kill-obyte!